Florals are arguably the most aesthetic element in any wedding design, but not every couple has beaucoup money for bouquets, so we’re dishing our best money-saving tips for wedding flowers. Learn how to plan well, keep an open mind, and make smart decisions so that you don’t blow that floral budget. First off, be realistic about your budget, whatever that may be. Think about making an impact in certain areas and any really important elements such as your bridal bouquet, and skip the miscellaneous arrangements such as in bathrooms or in areas guests won’t spend much time in. If flowers are your “most important thing” then allocate enough money in the budget to get what you want. This may mean cutting in other areas that you don’t care as much about. If your floral budget is tight ask your designer to work with your wish list and place flowers where it’s most important to you-stretching your budget. Always spend where your heart is really set. It will matter later. This is where a good planner comes in and really helps organize and prioritize. It’s a major weight lifter and stress reliever! The last thing you don’t want on one of the most important days of your life is overlooking your budget or having big last minute surprises. Always listen to your florist about what is in season at the time of your wedding and ask them for options that fit in with your wedding design. Your professional vendors should be able to give you some great alternatives that meet your expectations visually and are also more accessible for your date. Importing specific blooms when they are off-season can add up fast. As we told BRIDES, we always find that brides who are more open-minded going into initial floral meetings can truly learn about flowers and options they didn’t know existed. In the end, the results can be beautiful and unexpected. Repurpose flowers in multiple areas. For example, take the wreaths you used at the ceremony entrance to the reception location. In some cases, bridesmaids bouquets can be used in the reception as well. (Be sure to discuss with your florist first to ensure that the blooms you chose will still look fresh enough to use later in the day.) 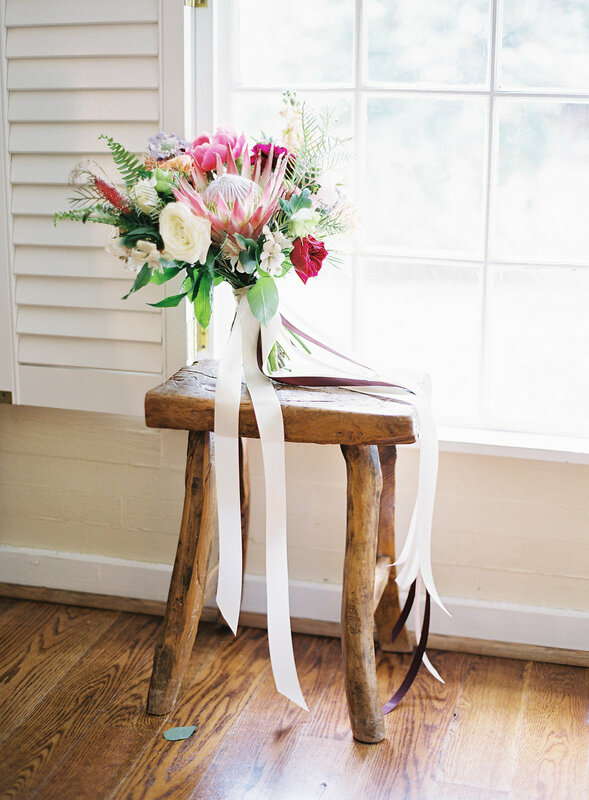 That aisle garland can sometimes transform into a send-off surprise. 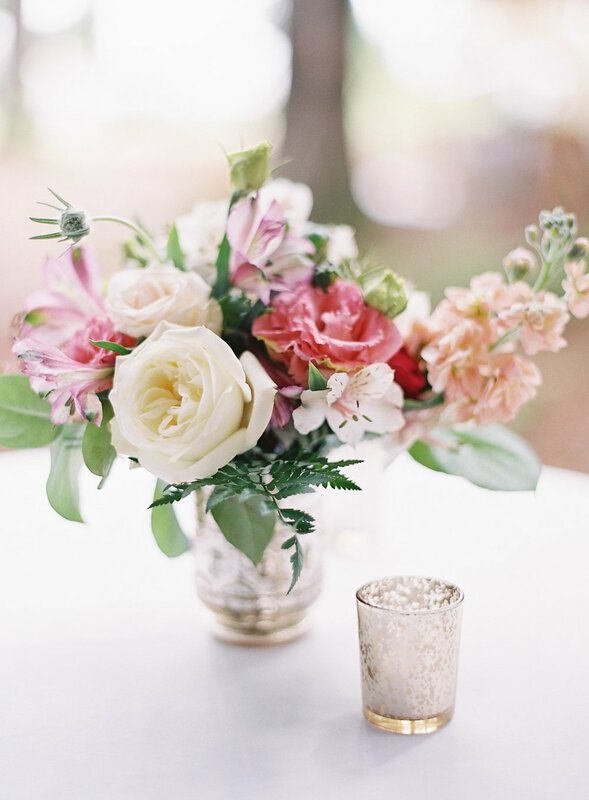 Flowers should be accents that enhance the beauty that is your wedding date. Not every inch of the venue needs to have florals. Let the beautiful features of your space shine. 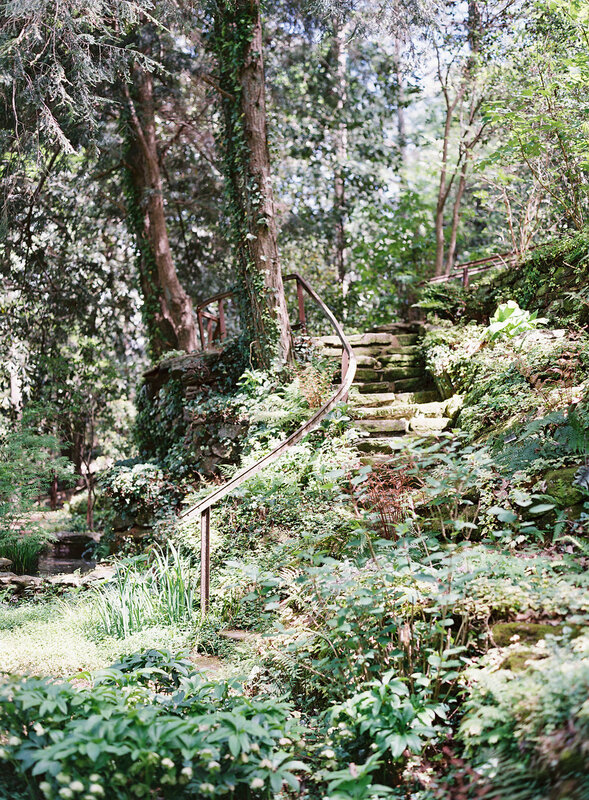 And if your venue happens to be in nature, even better. At the end of the event, where will your flower arrangements go? Instead of worrying that your well-spent floral budget will end up in the trash post-wedding, talk to your florist and come up with a plan. Some vendors will take the florals with them and donate them to nursing homes, women’s shelters or churches. Other times, you can allow guests to take arrangements home to enjoy. (Just don’t let anyone run off with those rented vases.) Maybe you decide to include plants or flowers in your design that will double as favors. Whatever you choose, remember that live plants and cut flowers are perishable, so share the love so that others can enjoy the pretties before they wilt.